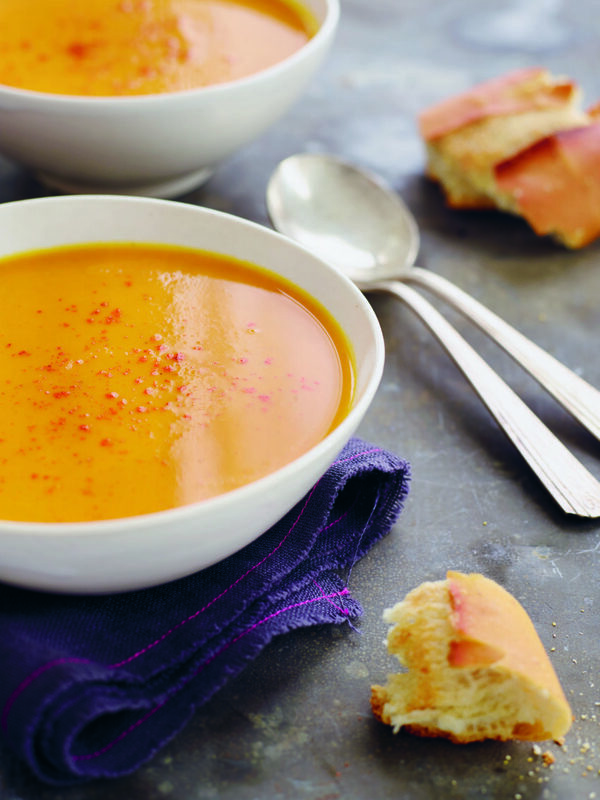 Today's recipe, Autumn Carrot and Sweet Potato Soup. I stumbled across the recipe on the blog, Once Upon a Chef. Just be careful if you follow that link. I think I gained ten pounds reading the home page. And while I gained those ten pounds, I became very, very hungry! I found so many recipes I want to try. I've never had carrot or sweet potato soup. 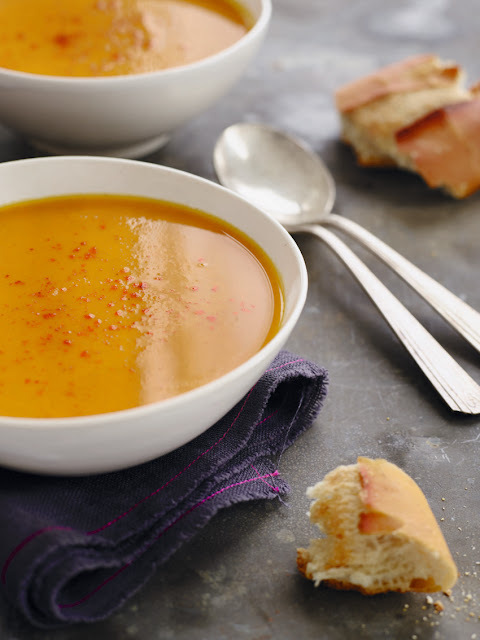 There's something about bright orange soup that just seems.... wrong. But for some reason, this recipe jumped out at me, sounds yummy and seems perfect for a cool, fall meal. And best of all, it sounds super simple. And, we have the ingredients! All of your knitting looks so beautiful, the Noro Cowl is amazing, the colors are gorgeous. Can I come over for soup? I'm not a big soup person, but this one sounds good. I'm more of a 'stew' person but there's something about this recipe. Can't wait to try it. I still haven't made it but hope to tonight. I'm also hoping it tastes as good as it sounds. Not sure how it's going to go over with my steak & potatoes husband.